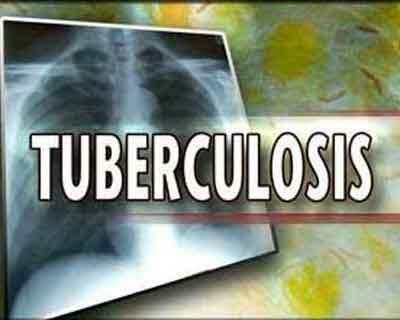 Mumbai : Tuberculosis (TB) is not just a medical problem but also has several social ramifications as many families get broken due to the disease, say experts adding that research and academic institutions can play a major role in helping patients affected by the disease. “Several children are forced into labour and TB patients, especially women and girls, face stigma. Awareness is absolutely crucial,” said Rajkumar S. Badole, Maharashtra’s Minister of Social Justice and Special Assistance, at a recently held research and academia conclave in Mumbai. The conclave addressed the need for more students to actively pursue scientific research in the quest for innovative and more effective tuberculosis interventions. “Social science research is required for us to be able to understand the challenges and find solutions. We can conquer TB, only if we work together,” Badole added. He appealed to the students, academicians and researchers to come together to fight for a TB-free India. The event was organised by the Central TB division (CTD), Ministry of Health & Family Welfare, North Maharashtra University (NMU) together with The International Union against Tuberculosis and Lung Disease and the United States Agency for International Development (USAID). “Over 15 million patients have been treated and millions of lives have been saved. However, much more needs to be done as the government alone cannot achieve the target,” stated Xerses Sidhwa, Deputy Director (Health Office), USAID. New ideas and approaches to keep TB patients and survivors at the forefront are imperative. There is also a need for a multi-sectoral approach in which the public sector, private sector and academic and research institutes can work together to achieve a TB-free India, the experts noted. “We need to invest in research activities towards improving detection and treatment and look at how to address not just the disease but also its social aspects like stigma,” Sidhwa said. “We expect that as a result of this conclave, several universities, research institutions, civil society organisations and the government can come together to work for a TB-Free India,” pointed out Sunil Khaparde, DDG (TB), Central TB Division.